Death has always felt like a scary subject to me. I didn’t quite know how to open up that line of communication with My Mister, who’s 5. Is it too early? Will he understand? When is the appropriate time to talk about death? I have been going back and forth to Chicago, my home city, quite a bit recently. My grandfather has been very ill, and I tried to not miss some precious moments. My husband and I kept the details of my visit quiet. It was easy to tell Evan that I was going home to visit family while he had much to do here in Kansas City. We are so lucky to be in a community full of help and warmth in times of need. One of my close friends is a children’s social worker and has a background with this line of communication. I have been open with her about my trips, as well as my fear of talking to Evan. She has been our rock for the entire journey, and helped us slowly introduce the topic. When we knew the time was approaching for my final journey home, we spent a little time leading up to it reading books about death. I borrowed some books from the headmaster at Evan’s old preschool. She has a long history in early-childhood education and has a fantastic library that offers help with difficult topics. We borrowed a few for several weeks. Prior to opening the book, I talked about past events that would ring a bell for Evan. We have made condolence calls for friends during their times of mourning, where Evan has participated. I brought those times back up and asked appropriate questions to start to bring connection to the books we were reading. The books were good for both of us. It helped lead the discussion, and Evan had some wonderful, appropriate questions to show me that he was understanding what I was talking about. Through this process, I have found a few things to be important. 1. Use what resources you have. Not everyone will have a friend who is a children’s social worker. A good place to start is using the resources in their school. I reached out to Evan’s teacher and the “Feelings Doctor” as well. I told them that we were introducing this topic and how we’ve begun to help him understand it. When the time came, and my husband was going to be relating the news to our son while I was out of town, I alerted the teachers. We told Evan that these two adults at school are a safe place should he have any questions or any feelings that he wanted to discuss. He used both of these resources and they remained on the same wavelength as we did. If school isn’t an option, reach out to your pediatrician. They should be able to offer guidance, or a referral to someone who has knowledge for appropriately discussing this topic. 2. Use books as a communication tool. There are many books to chose from. I find that it is best to see what the underlying message is in each book. I took four from our preschool library. I read each one and only used two. Evan is a very spiritually and religiously connected child, and I found the two books that would connect in a way that he lives. By doing so, Evan was able to relate to the books and it allowed our communication to flow nicely. 3. Don’t focus on specifics. 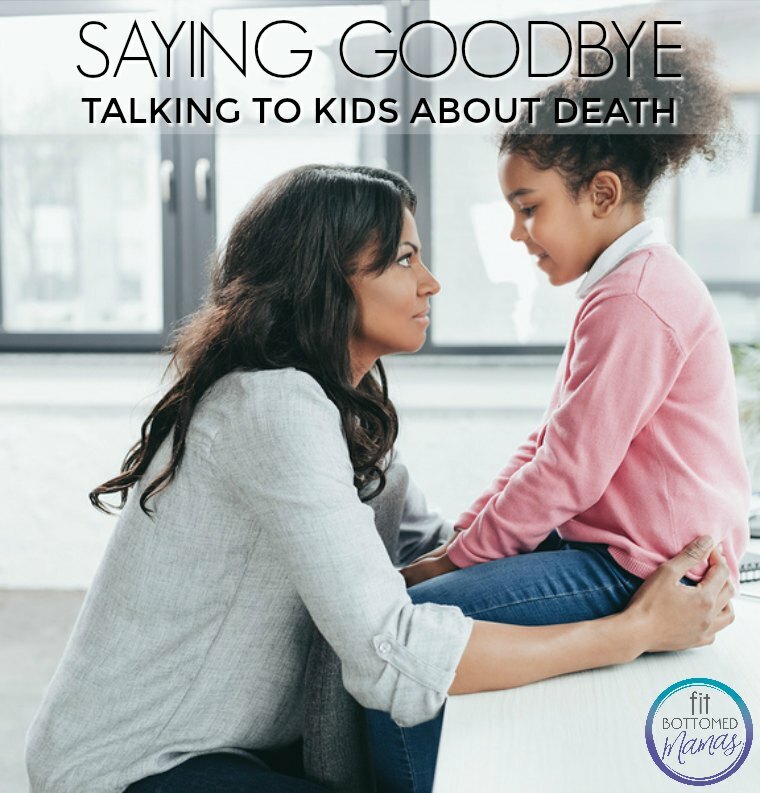 One of the things my girlfriend told me is it is not necessary to give our 5-year-old the details of the death, what he died from, etc. Instead I was letting Evan know that his grandfather’s body was older and struggled to work the way our strong bodies do. In that same sentence, I made it clear that Mommy and Daddy were strong and weren’t going anywhere and neither was he. My friend reminded me how important it was to remind Evan that me and Daddy are safe — and so is he. 4. Let them continue to communicate in whatever way is natural. My friend also helped me understand that it’s okay if Evan wants to talk to Grandpa, but I also needed to help him understand that Grandpa cannot talk back. He hasn’t asked yet, but this is all still new. When I returned from Chicago and Evan asked me how I was, I remained honest with him. He told me he missed him already and I said he can write him a letter or draw a picture. If at any time Evan has questions, for Grandpa or for us, we encourage him to write them down so he doesn’t forget them. If it happens at school, his teachers have been available for him to go up and ask and she can answer to let us know at the appropriate time. 5. Continue to give them their usual routine and structure. Letting Evan’s schedule remain as is, I struggled with bringing Evan to Chicago with me. First off, I felt he could understand it and he loved his grandfather. However, he is in kindergarten. There is so much to surround himself with that spending the week as I did wouldn’t be fair — to Evan or to me. And a special tip for us, moms: It’s okay to not be okay. This is personal for us too, Mama. Truth is, it’s okay to not feel okay about this discussion. I was uncomfortable, anxious and emotional during our conversations. I was emotional because I knew what was coming. I was scared of breaking my little boy’s heart. He loves his trips to Chicago. and I was scared that this would pull him away from those fun memories. I now recognize that children understand much more than we give them credit for. On our final night reading a story, I let Evan know that I was leaving the next day to be with Grandpa. Evan put his hands on my face, looked me right in the eye and said “I am so sorry about Grandpa, Mommy.” Then he hugged me and didn’t let me go. We cried together. For the first time, my fears were lifted and my 5-year-old gave me the comfort I’d been hiding from. Truth is, death isn’t easy, but it’s going to happen. I have been very fortunate in life to not experience it directly until now. I went through a little angry stage of feelings about why I had to experience it now, when I’ve brought children into the family. I was angry that I had to emotionally upset and potentially confuse my 5-year-old with this. That was short-lived after I saw how easy my son was to talk to. Also, I wouldn’t trade the experience of watching my grandpa hold my babies the way I got to. So, I’m learning to grieve and mourn and I have no idea how to do it. No matter what I’m feeling, I have friends who hold me, a husband who has been my rock and a 5-year-old who is helping my heart heel. Beautiful share, Jennifer. Thank you for writing on this topic. It’s scary enough when you are single. Being a mom makes it so much scarier. Keeping your grandfather, you, and entire family in my prayers.